The Portuguese Cultural Centre – Camões Institute, has as its main attribution to promote Portuguese Culture and Language in Japan. The first Portuguese Language Course was created in January 1998. The first exams’ certification on Portuguese as a Foreign Language – PLE occurred in 2000. In the language area the main concern is to strengthen the relations between Japanese universities that include the Portuguese Language in their curricula, and Departments on Luso-Brazilian Studies that confer a degree in Portuguese language. In this context, support also includes an Annual Eloquence Competition in Portuguese Language for Japanese University students, initially organized by the Nanzan University of Nagoia and since 1981 by the Kyoto University of Foreign Studies. 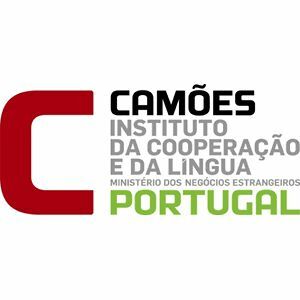 Through this competition the Camões Institute, in association with IPOR, awards annual scholarships at Portuguese universities to the two first winners of the competition. Through the Literary Prize “Rodrigues, the Interpreter”, awarded every year, many works have been edited in Japan. Works are in Japanese and on Portuguese themes or translations. With its editions, many authors have been awarded, either with translations of Portuguese writers or with unpublished books on Portuguese themes. In the cultural area the Cultural Centre develops an intense and increasing activity. It is worth mentioning the celebration of the 450 th anniversary of the Portuguese arrival to Japan in 1993, the celebration of the 100th anniversary of the Portuguese cinema in 1996, the celebration of the 4th centenary of the death of Luís Froís in 1997, the 450 th anniversary of S. Francisco Xavier arrival to Japan in 1999, the 400th anniversary of the publication of the Vocabulário da Lingoa de Japan in 2003 and the 150 th anniversary of the birth of Wenceslau de Moraes in 2004. In 2013 we celebrate the 470 years gone by since our arrival in Japan – the first westerners to set foot in this far East country. Either through those commemoration programmes or other regular initiatives, the purpose is to promote Portuguese cultural values and heritage in Japan, taking up actions that have already made known and have brought to Japan recognized values and Portuguese cultural revelations. Created for the promotion of the Portuguese Language and Culture abroad, and according to its organic law, the Instituto Camões is a legal person of public law, economically and administratively autonomous, acting under the oversight of Portugal’s Ministry of Foreign Affairs, which assures the orientation, coordination and execution of the Portuguese external cultural politics, namely the promotion of the Portuguese language in coordination with other governmental organisms, mainly the Ministries of Education and Culture.The designation adopted – INSTITUTO CAMÕES – is an homage to the most prestigious poet of Portuguese Literature, Luís Vaz de Camões (1524?-1580), author, among other works, of the epic poem “Os Lusíadas” (The Lusiads) (1572), whose central theme is the discovery of the maritime route to India (1547-1499) by Vasco da Gama.